Both expert investors and neophytes alike are taught that knowing their risk appetite is the very first step to success in the investment landscape. 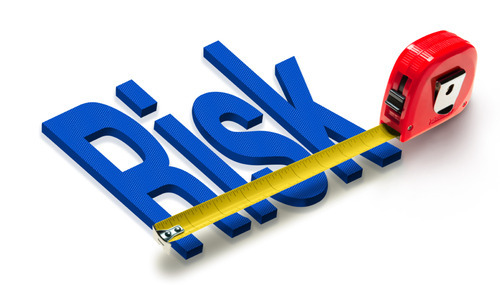 Question now is – how does one determine their own risk appetite? Let us touch briefly on the topic of risk appetite. Basically, it is a person’s tolerance level for the risk of possible losses in their investments. Gamblers, for instance, have very high risk appetites. Of course, although investments and gambling sound similar, the former does not condone making investments that are beyond one’s tolerance level. Investors are taught to win even in the riskiest of situations, and to minimize losses in the event that they are unable to mitigate the risks. A good counselor and portfolio manager can aid you in effectively discerning your risk appetite. However, it is best if you first know the answer to these three questions. You don’t just put in all your money into an investment vehicle. That’s financial suicide. There are cases where investors lose all their hard-earned money because they made the mistake of putting all of their money into one single account. You don’t do that if you want to win . You must divide your money into different accounts to hedge against possible losses. As an investor, you have to face the reality that, despite your best efforts, you could still lose money as a result of taking risks with your investments. Thus, it would be a lot safer if you know how much money you’re willing to lose. That helps set a threshold, which is a big help regardless of whether you do your own management or you hire a manager (who’d need to know this in order to set limits, in any case). How much do you seek to gain? When it comes to investments, there are different risk-yield combinations. You’d have to ask yourself, how much do you really want to gain from your investments? This will help you and your investment manager decide if you want to take on high-risk but high return investments, or go for the more moderate ones that expose you to less risk but also give lower returns. Once you know the answer to these questions, you have a basic idea of how you want to proceed in the world of investments. This will then dictate your decisions in the future, or the decisions that you want your investment manager to make on your behalf. Why Tap an Investment Manager? Getting the services of a portfolio or investment manager will help you save a lot of headaches. These people have the experience as well as the tools that will help them make the right decisions or ones that are in line with your risk tolerance or appetite. Investments are your way to gaining residual income, as well as your method of preparing for your future, particularly your retirement. Don’t make the wrong decisions; make the right ones all the time as much as possible. Investments 101 – What is Hedging?